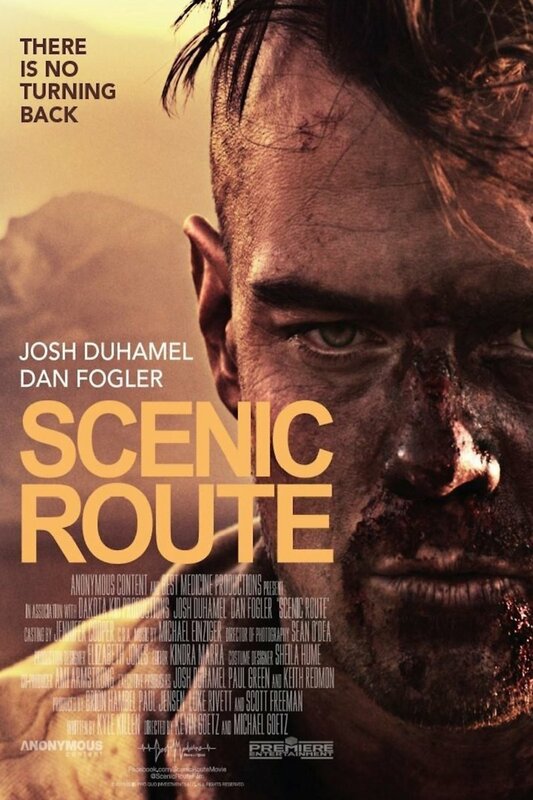 Scenic Route DVD and Blu-ray release date was set for September 17, 2013. When Mitchell agrees to go on a road trip with his one-time best friend Carter, he doesn't anticipate the scorching hell that they'll have to endure. Mitchell lives the frustrated, constrained life of a husband and father. Carter is a free-spirited but unemployed writer with a bleak future. When Mitchell doesn't open up on the trip about his life, Carter fakes a car break-down in the middle of Death Valley to get Mitchell to talk. After the two start to connect, Carter restarts the car, only to have it break down for real a few minutes later. Carter and Mitchell must face the horror of being stuck in the planet's hottest place with only some jelly beans and a limited supply of water.